Beijing goes the Valextra Mile with a new flagship store. When setting up shop in China as a luxury brand, it’s the top-tier cities that matter the most. 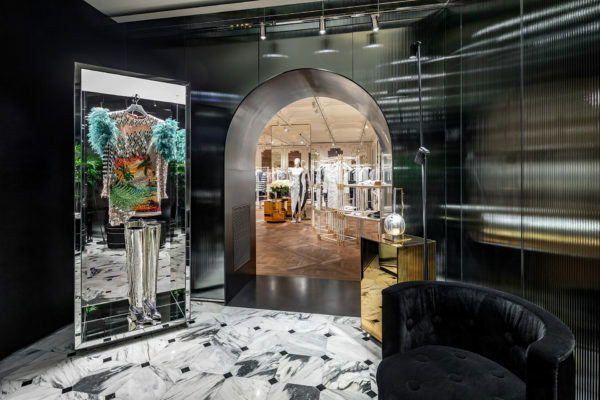 Unsurprisingly, it’s a retail expansion strategy that Valextra also abides to, and after launching much-publicized retail spaces in Shanghai and Chengdu, the Milan-based bag and accessories brand has landed in Beijing. 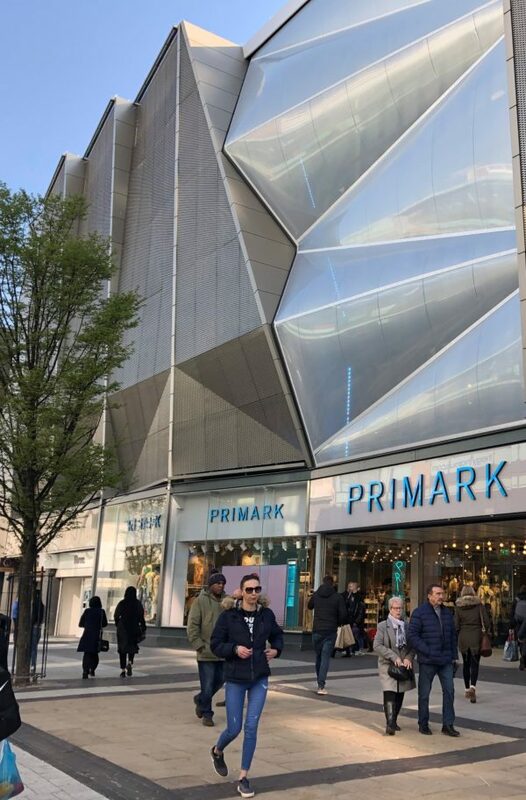 Occupying a lofty space at one of the open-air shopping mall’s pavilions, the location has an expansive glass façade on one side that’s paired with a soaring ceiling, allowing in floods and floods of daylight. The interior design sees a subtle infusion of colour, captured by wall surfaces covered in different hues of marmorino and fixtures, and light blue terrazzo resin flooring with brass speckles throughout the premises. 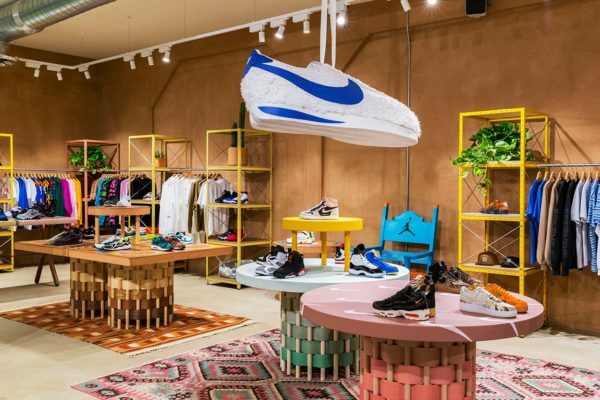 On the right side of the boutique, exhibited both on linoleum, diamond-shaped shelves, crafted from wood and linoleum, and suspended stands, present Valextra’s very first sneakers capsule collection, and directly opposite small leather goods can be found. The top corner section of the store focuses on travel bags and suitcases, showcased on light blue terrazzo stands and plinth. At the far end, the interior design flaunts into a bolder and more graphic look, captured by terrazzo, metal, glass and brass. It’s here where shoppers find a little haven, furnished with a plush green sofa to relax.